Just a note: There’s an ongoing legal dispute between the park service and the outgoing concessionaire. So some of the park’s properties have been temporarily renamed (i.e. Curry Village is now called Half Dome Village). The names may revert back to the original version after the dispute is settled. 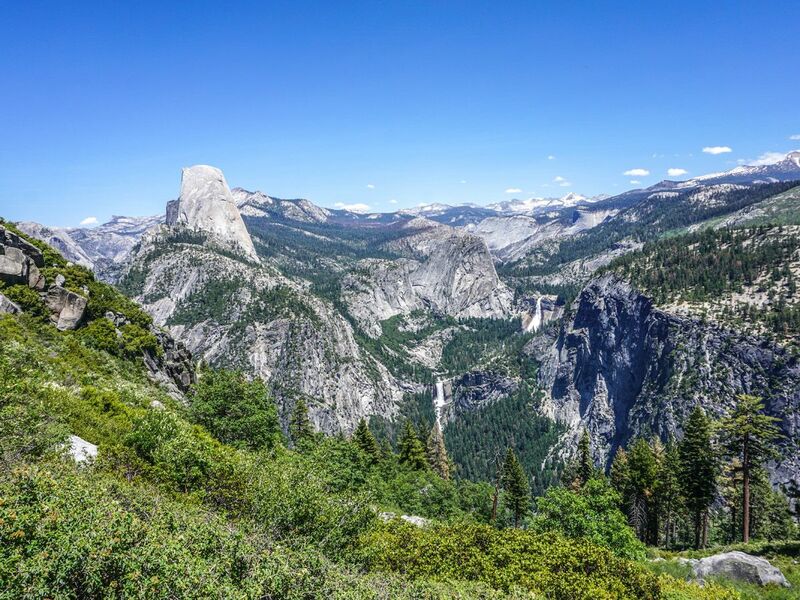 Covering more than 3,000 square kilometers of land across central California’s Sierra Nevada Mountain Range, Yosemite National Park has so much to offer – from the continent’s tallest water falls, the world’s largest granite monolith to the ancient towering Giant Sequoias and much more. Yosemite was first established in 1890, and today continues to be one of the most visited in North America, with roughly 4 million people entering its grounds each year. More than 95% of the park is classified as wilderness – making it an exceptional place to hike and explore. The rugged mountain landscape carved by glaciers is spotted with thousands of lakes and ponds, two major rivers, meadows, wetlands, waterfalls and an epic 1,300 km (808 miles) of hiking trails. The main roads within Yosemite are the Tiogo Road, which is closed November to May; Highway 140 from Merced to Yosemite Valley; Highway 41 from Fresno, closed from Badger Pass to Glacier Point from November to May; and Highway 120 from San Francisco to Yosemite Valley. Here we’ll take you through the basic overview of hiking in Yosemite National Park – including how to get there, where to stay, where to eat, what to see and what to watch out for. The closest airport is Fresno-Yosemite International, approximately 1.5 hours from the park’s South Entrance and 2.5 hours to Yosemite Valley. The next closest are Merced Airport, about 2 hours from Yosemite Valley or Modesto City-County Airport, about 2 hours from Yosemite Valley. If you’re driving in, the park is about 4-5 hours from the San Francisco/Bay Area, 4 hours from Sacramento and about 5 hours from Reno and Lake Tahoe. You can also take public transport to and within the park, but check out the NPS website for the most up to date route accessibility. Yosemite National Park is open all year round, 24/7, with no required reservations. The most popular time to visit is during the summer, although each season has its own unique advantages. Most of the park covered in snow from November to May, offering solitude from the crowds that come when the sun is shining to its fullest. 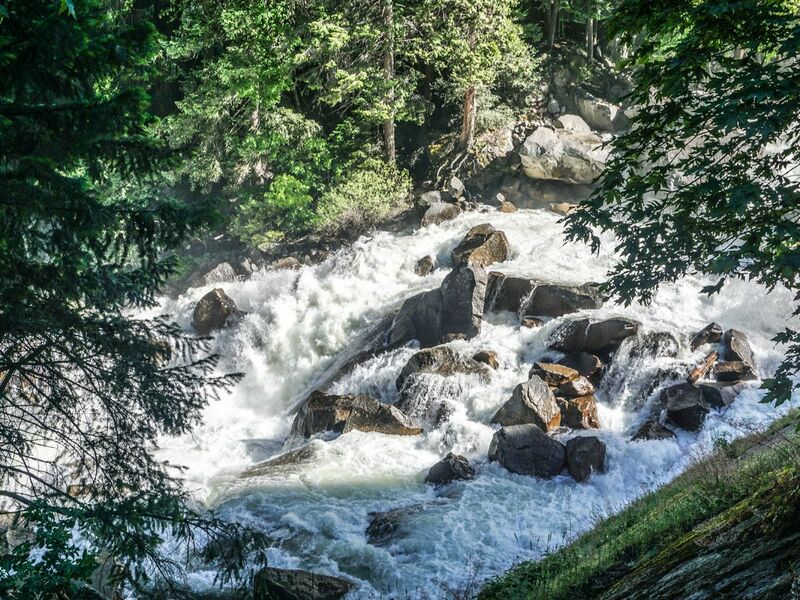 In the spring, warmer weather melts the snow and the park’s waterfalls reach peak capacity. During the summer season, all the park’s roads are open and abundant sunshine makes make the entire park accessible for hiking. During the fall you can enjoy less crowds without the freezing winter temperatures. 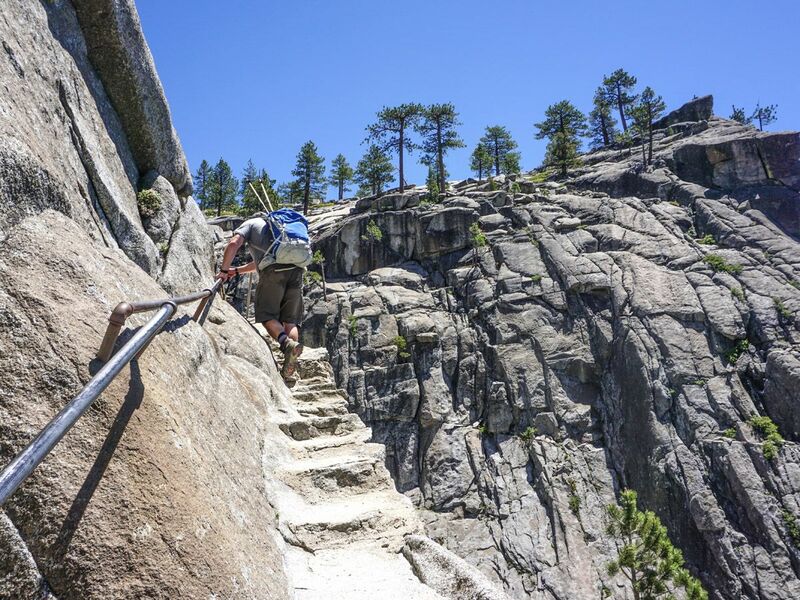 There is no vehicle access for the Tioga Road and Glacier Point Road trailheads, typically from November to May or early June, so keep that in mind if you’re planning a hike here. From May/early June to October/early November the main roads within the park are open for vehicle access. In addition, there is also a shuttle service available within the park (but not to all areas). Within Yosemite Valley – the park’s most popular spot – there is a free shuttle service around the eastern segment. There is also the El Capitan shuttle bus, stopping at El Capitan, Bridalveil Fall, Four Mile Trailhead, and the Valley Visitor Center. This is open from mid-June to early October. There is also the fee-based YARTS bus, which travels within the park. For complete information about getting around Yosemite, check out the NPS Yosemite public transportation guide. Within Yosemite there is a selection of accommodation options – from campgrounds to canvas tents, cozy cabins to a grandiose five-star hotel. Even the most rustic of accommodation options fill up within minutes of availability being released, so make sure to plan your months (or even years – yes really) ahead of time. For a complete list of accommodation in Yosemite, check out the Yosemite Hospitality website. There are thirteen popular campgrounds within the park, several of which follow a reservation system: the Upper Pines, Lower Pines, North Pines and Crane Flat campgrounds and half of the Tolumne Meadows. Reservations are available in blocks of one month at a time, up to five months in advance. On the 15th of each month, at 7am Pacific Time the reservation period opens. During the period of May to September, reservations are filled within the first day they become available, some even seconds after 7am. Even with the first-come, first-serve campgrounds, they usually fill up by noon or earlier from April through September. It’s also possible to camp in the wilderness, just make sure to get a wilderness permit. One historic lodge within the park is the Wawona Hotel (now known as Big Trees Lodge). Built in 1879, this historic hotel is one of the oldest mountain lodges in California. It’s located between Yosemite Valley and the Mariposa Grove of Giant Sequoias. Here you can find reasonably priced rooms with an authentic Victorian-style charm. The crown jewel of accommodation in Yosemite is, however, the Ahwahnee Hotel (now called Majestic Yosemite Hotel). Built in 1927, this five star hotel features an enormous Great Lounge and dining room – ideal for many grandiose events throughout the year – a striking granite façade, crafted log beam ceilings and a uniquely Native American décor. Throughout history famous celebrities have stayed here, and if you want to get a room in the summer season, you better book early. If you can’t find a place to stay inside Yosemite, have no fear – there are many small towns dotting the periphery of the park’s massive boundaries. A hidden secret is that if you want to hike the High Sierra off the Tioga Road, you can book a place to stay on the park’s eastern border such as in Lee Vining or June Lake. Personally, June Lake is our favorite, but both offer affordable prices, cell phone signal and some cool things to explore. One option is the cozy cabins at Double Eagle Resort and Spa or the budget-friendly June Lake Villager Motel. 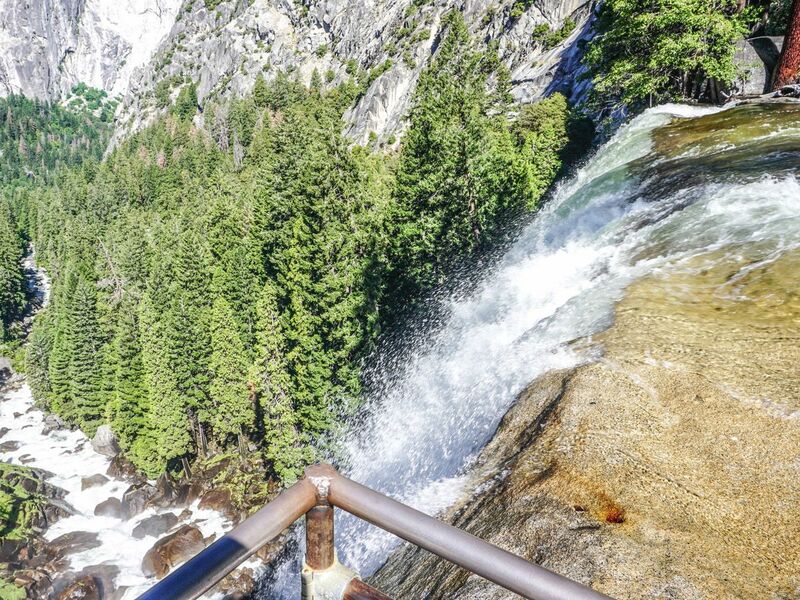 For access to Yosemite Valley – without the massive crowds – try staying in Yosemite West Condos. As well, there are tons of other places to stay outside the park that are just a 60 min drive to the center of the Valley such as Mariposa, Buck Meadows, Groveland (with a fun main street featuring a Wild West theme) or Big Oak Flat. Oakhurst is the farthest away – about a 90 min drive – but still manageable. Also consider that, especially during peak seasons driving in and out of the valley may be full of traffic jams. During the peak season (May-October) there are a wide variety of dining options in the park for those on any budget. If you’re looking for luxury after a long day in the wilderness, don’t miss out on dinner at the Ahwahnee Hotel Dining Room (now Majestic Yosemite Hotel). They ask you dress for dinner, but a visit to the dining room is an experience in itself. Other more upscale options include the Wawona Hotel (now Big Trees Lodge) or the Mountain Room Restaurant – with the latter feature unparalleled views of Yosemite Falls. For something more casual and budget friendly, check out some of the options in Yosemite Valley such as Degnan’s Deli for fresh made sandwiches and salads, Degnan’s Loft Pizza for homemade pizzas, soups, salads and appetizers (located above the deli) or Village Grill Deck, for hearty burgers, sandwiches or their famous milkshakes. For a quick coffee or croissant, check out Degnan’s Café (also in Yosemite Valley). Half Dome Village also offers a variety of dining options such as hand-tossed pizzas at the Pizza Deck, home-style cooking from the Half Dome Village Pavilion, or grilled sandwiches from the Meadow Grill. For a quick coffee, pastry or make-your-own oatmeal combination, check out the Coffee Corner here, too. WHAT ELSE CAN YOU DO BESIDES HIKING IN YOSEMITE? The answer here is quite simply: a lot. 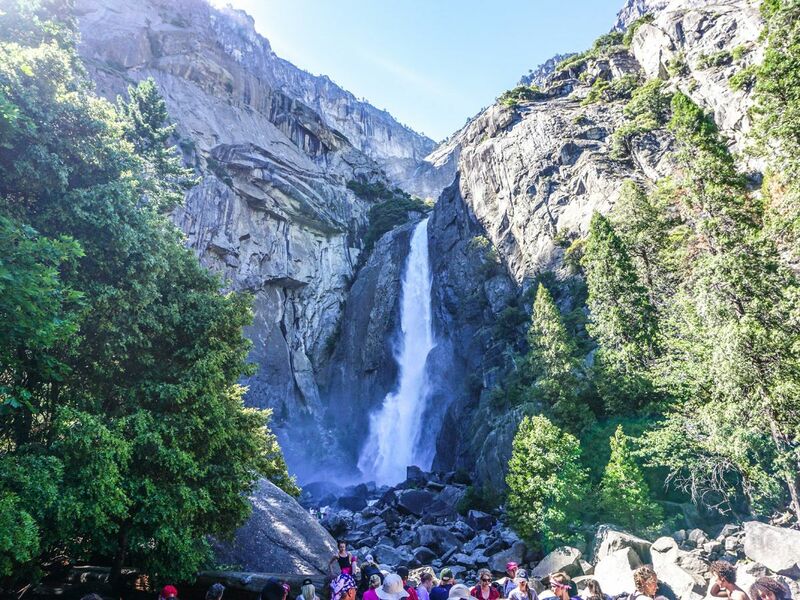 Yosemite is full of tons and tons of stunning sites accessible with or without a tour such as Glacier Point, Yosemite Valley, Yosemite Falls, Tunnel View, Half Dome, Sentinel Dome, Mist Trail, El Capitan, Tioga Pass and Vernal Falls. To explore via the waterways, check out rafting on the Merced River or fly fishing with the Yosemite Outfitters. 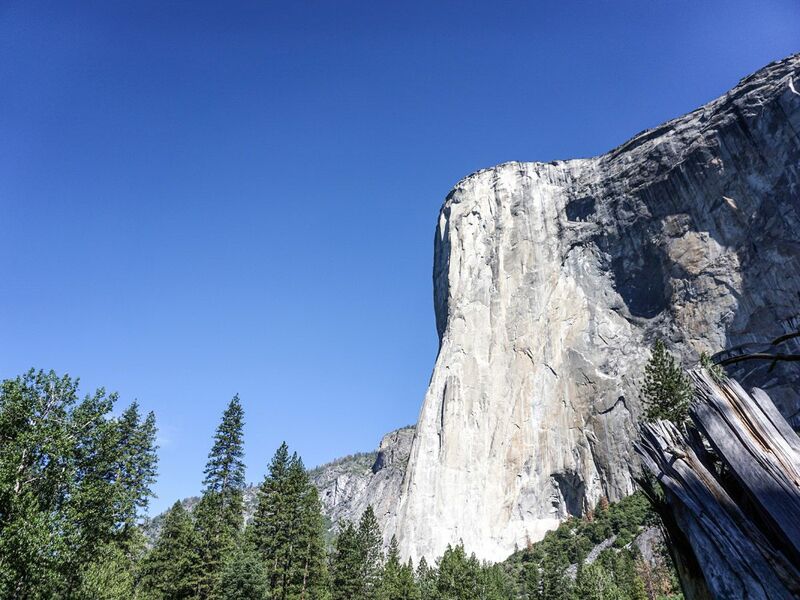 Learn some rock climbing with the Yosemite Mountaineering School and Guide Service, open since the 1960s, or unwind with a round of golf at the Big Trees Lodge Golf Course. To cool off from the summer heat, you can swim on the sandy beaches of the Merced River or the secluded area in Toulumne Meadows or the High Sierra Camps. There are also pools that can be used by the day at the Half Dome Village and Yosemite Valley Lodge. And don’t forget the rich history of Yosemite. Experts estimate that the area has been inhabited for over 3,000 years! To a better look, check out the park’s several museums such as the Yosemite Museum, Pioneer Yosemite History Museum, Mariposa Museum and History Center or the John Muir Geo Tourism Center. As well, the Ansel Adams gallery is a highlight not to be missed. 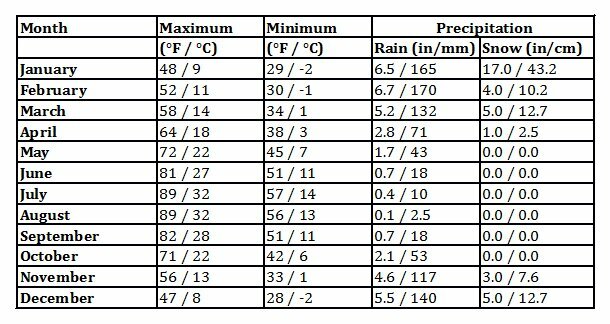 Extreme heat in the Valley in the height of summer, make sure you pack plenty of water. There are lots of cars, incredible views and narrow roads. Make sure to pay attention and drive safely. Rockfalls are relatively uncommon, but do happen at several points throughout the year. Make sure to pay close attention if you’re in area where rockfall could occur. Lighting is a common occurrence in the park, especially on summer afternoons. Don’t depend on cell phones for a GPS, service often doesn’t work in many parts of the park. The park is home to between 300-500 black bears, never approach them and ensure food is kept in a regulation container or food locker. Even if flowing water looks calm, beware, it can have a serious undercurrent. Use bug spray, mosquitos and ticks within the park can carry diseases. 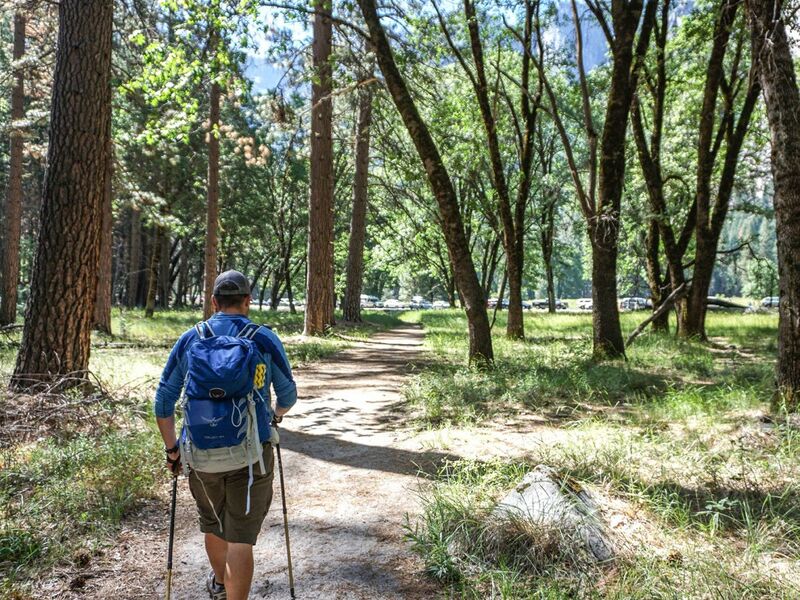 Always stay with a group when hiking, and consult the Yosemite hiking safety tips before beginning your trip. Park fees for non-commercial vehicles i.e. car, pickup truck, RV, or van with 15 or fewer passenger seats is $30 per vehicle (no per-person fee). Foot, bicycle, horse, or non-commercial bus or van with more than 15 passenger seats: $15 per person aged 16 and older. Mariposa Grove of Giant Sequoias is closed until fall 2017 for restoration.